As reported previously, Conscript Greg and I ran two games at this year's Legions Maxximus tabletop gaming convention. Greg's Sunday-morning Epic 30K game gained rightful accolades (it looked amazing and played great too), and in the afternoon we ran a Team Yankee mega-game on an 8x5 table. Here's the blurb: "It's 1985 and the Cold War has suddenly gone very hot indeed! As the Soviets roll across the West German frontier in a seemingly-unstoppable horde of infantry and armour, NATO desperately musters its forces to stop them. A small British armoured battlegroup is surrounded but fighting a determined rearguard action. Can the West German Bundeswehr kampfgruppe rescue the British survivors and continue the fight? Or will they be swamped under the rising Red tide? Tanks, infantry and airpower collide on the battlefields of World War III!" The initial deployment for the Soviet forces was behind the rail line. The trapped British battlegroup deployed in the town sector. You can just see the Chieftains around the houses at centre right of the photo, with FV432s behind the petrol station and infantry deployed in that building and in the "McPizza King" right in front of it. Lynx Helarm attack helicopters near, and Swingfires in, the woods. Here's a higher view of the battlefield; British are at lower-centre left. Panicked civilians crashed their cars by the Shell station, abandoned them and fled before the advancing Soviets. It's on! The Soviet tanks surge across the highway. View from the Soviet lines as the tank company moves off. Chieftains light up the FOO in BMP at the treeline. British deployment quite visible here as the Soviets advance (top centre) - Chieftains at bottom right, Swingfires and helos by the trees just above them, and infantry in the McPizza King. The Lynxes and Swingfires had a good first turn, lighting up the Soviet SAM launchers and along with help from the Chieftains, decimated a motor rifle company. However in the Soviet turn the ZSU-23-4s got into action and, well... pwnership happened. As the Soviet T-72s advance they land a few lucky shots - Chieftain brews up. Hinds have a target-rich environment. Meanwhile, a Soviet assault on the McPizza King was repulsed, bloodily. Marauding Hinds take out the last of the Chieftain troop. Motor rifle company closes for the kill. M109Gs of the Bundeswehr arrive and take aim at the massed Soviet infantry about to assault the McPizza King. Leopard Zug zips down the highway but is destroyed by the Soviet Frogfoot ground-attack planes. Still no AA on the table for the Allies. Just as a Team Yankee game should look... massed burning vehicles everywhere. Conscript Greg reckoned the game ended as pretty much a draw. The British battlegroup was broken and such of the West Germans that made it onto the table were pretty much destroyed as well, except for the M109Gs. The problem for the Allies was not so much the overwhelming amount of Soviet armour - they could deal with that - but the utter lack of any AAA to oppose the Soviet airpower was fatal. Not only did the Hinds impose their will on the Chieftains, but when the Frogfoots showed up things went pretty pear shaped. However the Soviet losses were... significant, with most (all?) of the battalion's tanks destroyed, and a motor rifle company erased as well. It was a great game and certainly looked very cool with stuff burning everywhere! Helicopters can be very powerful when ther is nothing that can take them on. The McPizza King of Heroes! The battle for that particular franchise cost the Soviets almost an entire battalion! Fitting that the blood of the proletariat should be shed to throw down such an exploitative capitalist icon! Great report Dallas - thanks for bringing out all of that stuff and helping to run the game. 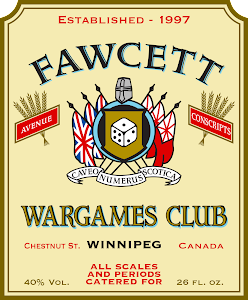 Your NATO stuff is looking fantastic, and I'm looking forward to further tank-burning violence on the Fawcett Avenue tables with more "Team Yankee". Looking back, NATO got kind of shafted by the reserve rolls and rules...I should have adjusted for that. As a Soviet player, it was of course fun to see my air assets sweep in and wipe out tanks, but the NATO side was kind of hamstrung...should have allowed more units for them to arrive.